Background music by the Scorpions! Eyes thrown open with hottest fire. Hearts confined with strongest chains. Staunch Wardens, the Goliath Scorpions value precision over brute force, while believing strongly in visions and quests. They take Necrosia, based on the venom of the goliath scorpion to aid in these visions. This Clan believes in looking to the past in order to rebuild the Star League, piece by piece. They are fiercely devoted to Clan Wolf. Many claim within the Clans if not for their visions and quests they would be an extremely powerful force to be reckoned with. 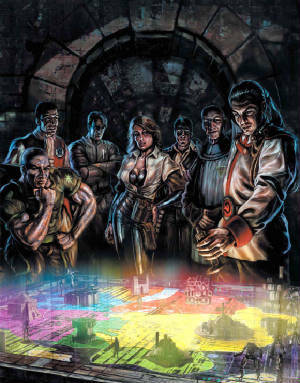 Their unique organizational scheme within their touman (even more detailed than the Jade Falcons) and knowledge of the old Star League Defense Force strategy and tactics would make them a well-oiled engine of destruction. It was their Heartvenom Cluster (Cateran cluster formation with Command Trinary, two Specialist Trinary, Battle Trinary, and Striker Trinary) trained Wolf's Dragoons before they left the Inner Sphere and made them an elite unit capable of handling any operation. 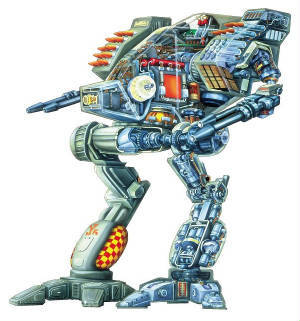 Goliath Scorpian was also the first clan to begin development of Battle Armor. Early designs were based on underwater mining suits. Clan Wolf then perfected these early designs, which led to the producton of the Elemental which became the prominit Battle Armor for the Clans. All warriors of the Scorpion will respect others within the unit and out of the unit, including other clan pilots. If another clan pilot is rude, report him to your commanding officer. Make sure to include the pilots name and unit affiliation. Any warrior's caught cheating will be immediatley removed from the roster and word of your acts will be spread to other units. Goliath Scorpion will not tolerate any cheating what so ever. All warriors will be expected to attend a minimum of 4 meetings a month to discuss training and combat stratagies. All Stars will decide upon thier own scheadule for practice and practice as a group. If you must leave early or cannot make it to practice, try to inform your commanding officer ahead of time. Goliath Scorpion Recruits Must partake in the ingestion of Scorpion Venom to weed out weaker pilots. 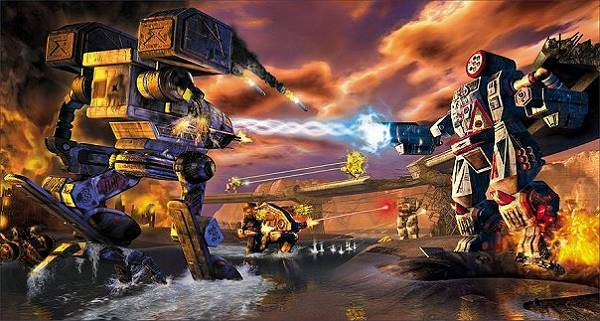 During Operation Klondike, the Goliath Scorpions were assigned to assault the planet Dagda along with the Clans Burrock and Widowmaker. The operations success hinged on taking a heavily fortified defense base on the continent of Riva. Scorpion saKhan Jenna Scott led her infantry Stars and quickly captured the rebel communications center. The facility in Clan control, saKhan Scott ordered the assault to begin. Things took a turn for the worse when a group of rebels ambushed two Goliath Scorpion 'Mech Stars and destroyed all but one 'Mech. The Scorpion forces, led by Khan Elam, quickly seized the base with minimal losses and executed the rebel commander. The conquest of the planet, however, fell behind when the Fire Mandrill Khans began bickering amongst themselves. ilKhan Nicholas Kerensky subsequently ordered Clans Wolf and Jade Falcon to assist in the conquest. This set in motion a feud between the Falcons' Carl Icaza and Scorpion saKhan Jenna Scott. The pair had once been lovers on Strana Mechty and gone through training together. Icaza denigrated the Scorpions' combat abilities and claimed that only the Jade Falcons were capable of capturing the assigned target. The Scorpions were forced to watch in silent frustration as the Wolves and Falcons completed the conquest of Dagda. Elsewhere, on Babylon, the Ice Hellions found a lone warrior wandering the wastelands there. The warrior, identified as Ethan Moreau, a former General in the SLDF, demanded to be taken to see Nicholas Kerensky. Moreau was taken to see the ilKhan. He pleaded for mercy and asked for forgiveness for failing to heed the call for the Second Exodus. Impressed by Moreau's sincerity, Nicholas used the situation as the basis for the rite of forgiveness - surkairede. Nicholas gave Moreau the chance to join one of the Clans, but the Ice Hellions refused to accept the aging warrior. Scorpion Khan Elam, who had been much impressed by Moreau's plea for forgiveness, petitioned Nicholas to allow the Scorpions accept him as a trainer for the Scorpions new cadets. Nicholas allowed the Scorpions to adopt Moreau into their Clan, but forbade them from using his genes in the breeding program. Moreau eventually became the first Loremaster of Clan Goliath Scorpion and his influence went on to change the nature of the Clan. The Goliath Scorpions set up base on Dagda and built their first enclave near the rocky shores and coastline. They soon became quite skilled at undersea mining, developing an exoskeleton mining suit. 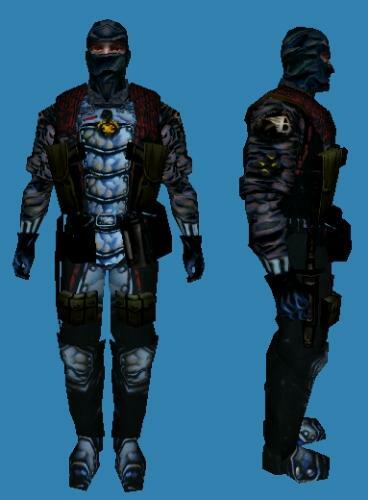 This suit would later be acquired by Clan Wolf and become the basis for the Elemental battle armor. The Scorpions later stood by the other Clans when the Not-Named Clan broke away from the unity of the Grand Council. Years later, when the WidowMakers and Wolves engaged in their Trial of Absorption, LoreMaster Moreau led a Star of Scorpion Mechs into battle save a trapped Star of Wolf 'Mechs from a superior force of WidowMakers. The battle came to an abrupt end when an artillery barrage killed Scorpion Khan Elam and WidowMaker saKhan Vordermark. The Wolf forces regrouped and destroyed the remaining WidowMaker forces. Though outraged at the Scorpion interference, Wolf Khan Jerome Winson forgave the Scorpion's interference as Moreau claimed he was merely fulfilling his surkairede obligation to the Wolf Clan. Khan Winson then ceded much of the WidowMaker enclave on Roche to the Scorpions in thanks for their efforts. It was during the Golden Century that the drug necrosia, derived from the venom of the goliath scorpion, began to be widely used by the warrior caste. It was widely known that the goliath scorpion's venom could induce a dream-state that often gave prophetic visions. Loremaster Moreau had originally wanted the warriors to be stung by the goliath scorpion to receive the full power of the venom, but a high mortality rate severely affected the viability of the warrior's gene pool. As a result, Scorpion scientists devised a ingestible serum that would produce the same results but would not adversely affect the user. 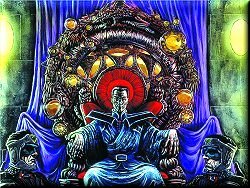 A few years later, Loremaster Moreau gave speech to the Clan Council where he told them of how the Goliath Scorpions would lead the other Clans to glory in the Inner Sphere. To achieve this, he charged each of them with finding Star League-era relics left by the Not-Named Clan that he claimed would insure the Scorpions' dominance. The warriors searched for five years but found nothing. Then, in 2850, the Ice Hellions found the cache the Scorpions had been looking for. The Hellions refused to part with it, prompting a series of Trials that would last for over a year. Eventually, in 2851, Clan Fire Mandrill tried to take advantage of the situation and launched their own Trial against the tired Scorpion and Hellion forces. The two Clans were enraged by this interference and set aside their animosity to force the Fire Mandrill's off the world. The victory came at a bitter price. Loremaster Moreau was killed in the fighting by a Fire Mandrill warrior. The Goliath Scorpions and Ice Hellions agreed to an amicable split of the Brian Cache. The Hellions departed with all of the war materiel and the Scorpions retained the Cache's stock of artwork and books. The Scorpions were amongst the last to field the new OmniMech technology. Embarrassed by his troops poor performance, Loremaster Lan Kirov instituted the Circus Honorae, a series of events similar to the Star League's Martial Olympic by which warriors could improve their skills. Loremaster Kirov was also instrumental in forming the Seekers. This cadre of warriors was charged with scouring the Clan homeworlds for Star League-era relics. Loremaster Kirov was convinced, like Loremaster Moreau before him, that the key to the Clan's future lie in its past. The Seekers, like knights of old, took with them a small specialized retinue of lower caste personnel to aid him in his search. Over the centuries, the Seekers have uncovered many lost treasures and brought them to the Clan's Temple of the Nine Muses, where all such finds are kept. 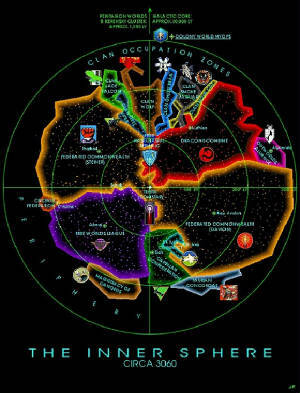 The Scorpions have also dedicated an entire Galaxy of front-line troops to the defense of the Temple. The creation of the Seekers almost became the undoing of the Clan. As the years went by, a widening chasm emerge amongst the warrior caste. The size and popularity of the Seeker cause drained many of the Clan's best warriors away from the military. The youngsters, who grew up steeped in the lore and legends of the Star League, cast aside their desire to serve in line units and spent their time traveling as Seekers or visiting the Temple of the Nine Muses. saKhan Jenna Scott forced the issue to a climax by challenging Loremaster Kirov to a Circle of Equals. saKhan Scott beat Kirov with five deft blows in a short-lived battle. She then extracted an oath from all the Seekers to follow Nicholas Kerensky's ideals and the Clan Way. When all present gave their oath, saKhan Scott collapsed and died of her wounds. Khan Nadia Winson's call for invasion in 3001 caused an unexpected response from the Clans. Stymied by Wolf Khan Kherlin Ward's Dragoon Compromise, Winson had no choice but to accede to his demands. As another shock, Clan Goliath Scorpion offered to train the Wolf warriors by pitting them against the elite Heartvenom Cluster. A number of young Scorpion warriors went along with the Dragoons when they left for the Inner Sphere. A few years later, the Wolves captured Star Colonel Vlad Dinour in a Trial of Possession. They gave him the troubled Fourth Wolf Striker Cluster to rebuild using Goliath Scorpion methodology and tactics. Colonel Dinour also provided the Wolves with intelligence gained from the Scorpion warriors who returned to Clan space during the Dragoon's 3009 supply run. The arrival of the Outbound Light in 3048 brought the question of invasion to the Grand Council once again. This time, Smoke Jaguar Khan Leo Showers managed to convince the Council that the Inner Sphere was on the verge of discovering the Clan homeworlds. Using this as incentive, Khan Showers forced a vote and the Council elected to invade the Inner Sphere. The Goliath Scorpions performed well in their Trials, but were beaten in the second round. Rather than throw a tantrum like Clan Ice Hellion, the Scorpions chose to expand their holdings by striking at territories left lightly defended by the invading Clans. The Scorpions earned the ire of the Jaguars by seizing several small enclaves on the world Tranquil. Unknown to many in the Inner Sphere, a small force of Scorpion warriors traveled with the Steel Vipers to the Inner Sphere. The force, led by saKhan Posavatz, was lost on the world of Tukayyid during the bloody fighting at Devil's Bath. At the same time, Khan Nikolai Djerassi stepped down to implement several ideas that would strengthen the sibkos. The new Khans, Ariel Suvorov and Nelson Elam, each worked in a different manner to build up the Clan's Touman. The destruction of Clan Smoke Jaguar has yielded several dividends for Clan Goliath Scorpion. First, the Clan captured the continent of Abyssmal on Huntress and, at the same time, procured several samples of Proto-Mech technology. The Clan also fielded the Undine battle armor for the first time. Also, trade has increased with Clan Snow Raven as the Scorpions strive to build up their aerospace forces. Time will only tell where the Scorpions future lies. Their new Khan, AttackMode, insists they will keep their focus on the future and rebuilding their strength and skills. 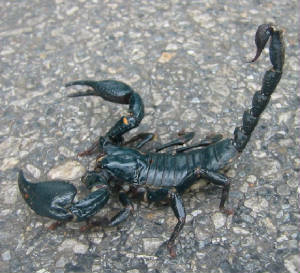 The Babylonian goliath scorpion is renowned for their suicidal defense of nests and their lethal venom. Many have adopted some part of their totem animal into their lifestyle, but none so literally as the Scorpions. The giant arthropod's venom forms an important part of rituals, earning the Clan's members equal measures of respect and disdain. Beta Galaxy: The Sand Runners. The most mobile unit in the Scorpion Touman, Beta are often called upon when speed is of the essence. 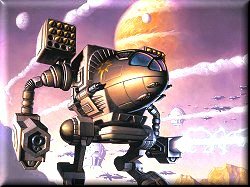 Delta Galaxy: Perhaps the best prepared of the Homeworld defense units, Delta's mix of Assault 'mechs and Elementals give it excellent defensive capability. Mu Galaxy: Queensland Garrison. Based on Marshall, Mu has a reputation of being the dumping ground for the Clan's undesireables. Rho Galaxy: New Ashur Garrison. Based on Roche, Rho is assigned the defense of the many Scorpion industrial facilities. Tau Galaxy: Fort Fairchild Garrison. Created in 3026 to bolster the world of Tokasha, Tau is made up of Light to Medium 'mechs and aerospace fighters. 20th Scorpion Cuirassiers: Scorpio Ascendent. Commanded by Star Colonel Trajan Baba, the 20th train extensively in Inner Sphere tactics. Any "Clan" not listed above is a unit of freeborns, not a Clan, therefore they will not be recognized as anything more than a pack of freeborn mercenaries, banded together, disgraceful to be on the battlefield with Trueborn Warriors, like the great Clans listed above! Even our enemy Clans deserve more respect than a pack of freebirth! We make exceptions only for those that pass the test of VENOM! The Spirits believe the other clans have betrayed the ideals of Kerensky and thus view them with suspicion. Other clans tend to ignore the Spirits for the simple reason they have little contact with this reclusive clan. Though friendly towards the Snow Ravens and Diamond Sharks, increased isolation has reduced contacts and exchanges with those two clans. Their only de facto ally is Clan Fire Mandrill, to whom they are extremely loyal. The Spirit's bad relations towards the Hell's Horses, Coyotes and Steel Vipers is in fact a direct result of the feuds the Fire Mandrills pursue with those clans. When the Star Adders absorbed the Burrocks, they also inherited a feud with the Spirits. The Cloud Cobras, as friends of the Adders, get their fair share of scorn too. However, for now the Spirits are content with raiding Star Adder holdings. Until recently the Cobras had more or less steady relations with almost all clans. Only Clan Coyote was the exception due to an old feud. Surprisingly they had very good relations with Clan Wolf, a close ally of Clan Coyote, but this turned sour when Vlad Ward took over the wolves (they now view Clan Wolf-in-Exile as the real Clan Wolf). Another crusader clan they disapprove of is Clan Blood Spirit. This is because of the Spirit's feud with the Star Adders, an ally of the Cobras. On the whole relations with warden clans are much better than with crusader clans. Note that there are some crusader oriented Cobra Cloisters that view things the other way around. Once one of the strongest clans, their arrogance and strong warden views led them into more trouble than they could handle. Relations with most clans have normalised, in no small part due to many clans becoming wardens. Ironically, Clan Coyote's oldest feud is with the warden Clan Cloud Cobra. The Star Adders are also hated because of the involvement of a Star Adder saKhan in the Coyote Blood Scandal. Relations with the crusader minded Jade Falcons remain strained. With some exasperation, Clan Coyote can only roll their eyes at the Fire Mandrill's inability to forgive the Coyote's for their part in the destruction of Kindraa Smythe-Jewel. This event was a joint affair between the Coyotes and the Hell's Horses and the two Clans remain friendly. Once staunch allies of Clan Coyote, Clan Wolf recently turned crusader which has strained relations1. Recently the Coyotes have become friendlier towards the Snow Ravens, in hopes of forging an alliance. The Sharks consider few clans as friends and none as enemy. Friendliness is good for business, but true friendship brings with it costly obligations. Strife is also bad for business and so they avoid feuds. The Coyotes, old scientific research partners, and the Ghost Bears, with the donation of two of their enclaves in clan space, are considered friends. Surprisingly, the Sharks also view the isolationist crusader clans Fire Mandrill and Blood Spirit with friendly eyes. Perhaps this is because the two clans are unlikely to press home any obligations? Relations with the Goliath Scorpions, at times friendly, are neutral at the moment. The Sharks' recent friendship with the Falcons has deteriorated to curt neutrality in the last few years. Though a former Snow Raven Khan caused the extinction of the Sea Fox, original totem of the Diamond Sharks, the Sharks show little hostility. Rather than fight, they prefer to milk the Ravens dry with highly favourable business deals. Sometimes it seems this clan is its own worst enemy. Split in Kindraas, they can not even agree who are their friends and enemies. However, almost all consider Clan Coyote and Hell's Horses enemies because of their part in the destruction of Kindraa Smythe-Jewel. The Mandrills do acknowledge the horses had just cause for the action. Only Kindraa Payne, which covertly aided those two clans, see them as friends. Since the invasion trials a feud with Clan Steel Viper has been developing and does not seem to be cooling down. Kindraa Mattila-Carrol is another example of split views, as it pursues its own private feud with Clan Goliath Scorpion. Relations with Clan Star Adder has also soured, as Mandrills continue raiding former holdings of the absorbed Burrocks. The only clan that the Fire Mandrills call an ally is Clan Blood Spirit. The Mandrills also look favourably on the Cloud Cobras because of genetic research assistance given in the past. The Ghost Bears have always been known as a moderate clan, and as such have few enemies. The Steel Vipers have been a constant thorn in the side due to basic differences in political views. The only real feud the Ghost Bears have pursued is with the Hell's Horses. Ever since the Horses were chased off Tokasha, both clans have been mortal enemies. Lately hate has been turning into mutual respect but relations remain highly volatile. The friendship with the Wolves is turing into a second feud after the Bears took some worlds from the Wolves. The Bear's change to a warden stance has upset many crusader clans but conversely relations with wardens have improved. The donation of Bear enclaves to the Snow Ravens and Diamond Sharks have made those two clans loyal allies. The Cloud Cobras are also looking for closer ties but the Bears seem to take their usual lengthy time in considering the offer. An isolationist clan until very recently, the Scorpions have only had regular interaction with the Wolves. The crusader stance of the new Wolves has cooled relations but the Scorpions still feel honor bound in helping Kerensky's chosen clan. The Scorpions have not allied with others though increased trade with the Snow Ravens may herald a change in that regard. The Scorpions also seem to have an uncanny knack for PO'ing crusaders. Old events strain relations with the Fire Mandrills (especially Kindraa Mattila-Carrol) and the Ice Hellions2. More recent events have irritated the Star Adders (due to trials over the Burrock bloodname Moreau) and clashes on Tokasha have made them a nuisance to both the Falcons (no great friend to begin with) and the Horses. Howver, these are fairly minor incidents that might well cool over time. Originally another isolationist Clan, the late 29th century brought them out of their cocoon. Dishonorable actions by Kindraa Smythe-Jewel brought down the wrath of both the Coyotes and the Horses. The destruction of the Kindraa led to a close friendship between the two but also caused a feud with the rest of Clan Fire Mandrill (though both view Kindraa Payne as a friend). This time also saw the foundations laid for a long running alliance with the Wolves. This alliance grew deeper when the Wolves embraced the crusader way after the Refusal War. A nadir of sorts was reached in 2921 when the Ghost Bears took Tokasha Mechworks. The ensuing mutual hatred is only slowly turning into mutual respect as both sides have given as well as they have taken. The Horses also respect (even admire) the Falcons, Ravens and Vipers but recent fighting in the Territorial Wars has kept relations neutral. Despite being nearly as aggressive as the late Smoke Jaguars, the Ice Hellions have never had any longstanding feuds with other clans. This remarkable achievement (or accident) might be reaching its end though. Clans Wolf and Jade Falcon have repeatedly thwarted Hellion Khan Asa Taney in the political battles of the Grand Council. The Wolves have further infuriated the Hellions by belittling them on and off the battlefield. As for other clans the Hellions tend to view them all as inferior. The fighting in the still ongoing Territorial Wars has led to the Coyotes, Diamond Sharks and Fire Mandrills facing off against the Hellions. However, if the mild reactions to the Hellion's Fury campaign is anything to go by, these battles will probably only temporarily influence relations for the worse. Possibly the most arrogant among the clans, Clan Jade Falcon has no outright friends. Clan Wolf used to be their main rival but recently they have become allies of convenience. Friends of the old Wolves, especially Coyotes, are still singled out for Falcon attention. The Steel Vipers now occupy the role of main rival left by the Wolves. This bitter feud culminated recently with the ejection of the Vipers from the Inner Sphere. The cyclical relations with the Snow Ravens seems to be entering a friendlier though still tense phase. The powerful role of the merchant caste in the Diamond Shark clan has caused revulsion among traditionalist Falcons and a cooling of previously friendly relations. Other clans are in general viewed with scorn although with little hostility. This attitude is answered in kind by other crusaders. Even the Falcon's active participation in the Territorial wars seems to have done little more than ruffle a few feathers. With the absorption of Clan Burrock, Clan Star Adder became a major power among the clans. This has led to a reshuffling of relations. From the Burrocks they inherited a feud with the Blood Spirits. Relations with the Fire Mandrill's also turned hostile as a result. The Snow Ravens' sudden shift towards neutrality after the absorption surprised the Adders who still treat them as friends though. Some good has come of the Absorption as relations with Clan Cloud Cobra has improved into an outright alliance. Traditional rivalries do continue as exemplified by the old feud with Clan Coyote. In dealing with other clans the Star Adders seem to prefer something akin to cooperative neutrality. Such an attitude is likely to secure a leading political position among the homeclans. Despite their political manipulations and readiness to drop allies if it profits them, the Snow Ravens have only one real enemy. Their only feud erupted following the loss of Hellgate to the Steel Vipers. A Snow Raven Khan did almost cause a feud with the Diamond Sharks, but quick and continuing penance avoided a war. Relations remain neutral but somewhat cool. The alliance with the Jade Falcons was deliberately soured a few years back. The recent shift to a neutral position indicates that whatever the Ravens had in mind backfired. Relations with the Star Adders used to be warm, but the growth in Adder fleet strength has made the Ravens wary of them. At the same time the inactive alliance with the Blood Spirits is becoming more active again. The Cloud Cobras are in some ways very similar to the Snow Ravens which has created friendly bonds. Still, the only real ally is at this moment the Ghost Bears, who left many holdings in clan space to the Ravens. The Viper's have a rare knack for poisoning relations with other clans. Mostly this is due to an arrogance that is only matched by the Jade Falcons. Unsurprisingly, the Vipers and the Falcons are bitter enemies. After the ejection from the Inner Sphere, this feud is not likely to end until hell freezes over. Arrogance is also the cause of the current clashes with the Fire Mandrills. Another foe is Clan Snow Raven, who refused to forget their loss of Hellgate. Though not on 'fighting terms', major differences in philosophies and practices have also alienated the Bears and Vipers from each other. Lately the Vipers have finally recognized they might need allies. As a result they have been courting the Coyotes, so far with only minor success. The only clan the Steel Vipers are on better than neutral terms with is Clan Diamond Shark. Clan Wolf With the sudden change into a crusader clan, Clan Wolf's relations with other clans were thrown into a volatile state. Traditional allies and enemies all seem equally unsure of how to treat the new Wolves. Relations with the Coyotes have cooled considerably though neither side appears willing to break a long history of cooperation. Clan Goliath Scorpion remains an ally, though more out of their sense of duty than shared goals. While the Wolves went Crusader, the Ghost Bears went Warden. Unsurprisingly a feud is developing with the Bears so far having the upper hand. On another political axis, that between invading clans and home clans, the Wolves are deliberately provoking the Ice Hellions in an effort to split the home clans in the Grand Council. Politics makes strange bedfellows too, as the Wolves present a united front with their former enemies, the Jade Falcons. At the same time the Hell's Horses have replaced the Coyote's as Clan Wolf's primary ally. To date it has been a very profitable alliance for both clans. 1. From the Field Manuals it appears the Wolves and Coyotes at least remain somewhat friendly. WoK on the other hand claims all contact has been broken, but then contradicts itself some pages later by claiming the two are still friendly. Therefore I decided to list them as friendly though with souring relations. 2. Again the sources do not quite agree. Some claim relations are neutral between the Hellions and Scorpions. Others tell of old tensions. After some thought I came to the conclusion it is the Scorpions who hold some kind of minor grudge while the Hellions presume everything is fine. Though not a perfect explanation it seems to sum up the feelings fairly well. 3. In alphabetical order the Star Adders should come after the Snow Ravens. However, shortened to their initials, as in the table, the Star Adders come before. That's why this seemingly odd order is followed.